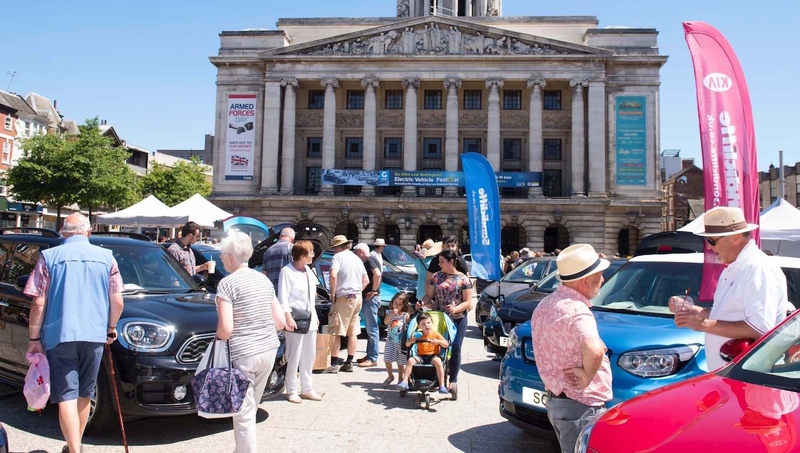 The government’s Green GB Week Electric Vehicle Roadshow is coming to Nottingham’s Old Market Square on Tuesday 16 October, offering the chance to see, drive, and find out more about the latest electric vehicles (EVs). 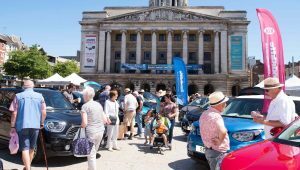 There will also be a series of seminars aimed at a business audience, hosted by radio presenter and EV enthusiast Mark Goodier, which will take place on Tuesday morning in Nottingham Council House. Speakers from organisations including the Office for Low Emission Vehicles (OLEV), Nottingham City Council, Cenex and Boots will talk about the government’s Road to Zero strategy, look at future trends in the automotive and mobility sectors, explain why there has never been a better time to make the switch to electric vehicles, and demonstrate how private motorists and businesses could save money by adopting EVs. Electric vehicles – including cars, motorbikes, vans, taxis, buses and trucks – play a key role in helping to improve local air quality, an issue that Nottingham City Council is addressing with a range of initiatives. Green GB Week is an initiative of the Department of Business, Energy and Industrial Strategy (BEIS), showcasing the benefits that clean growth will bring to all parts of society. Councillor David Liversidge, Portfolio Holder for Transport, said: “In Nottingham we’ve been committed to improving air quality for many years, investing in low emission public transport, such as electric trams and gas-powered buses, and cycling infrastructure, making it easier for people to choose less polluting forms of travel. “It’s clear that ultra-low emission vehicles are the future, which is why we’re working hard to help put more green cars on the road. Work is already underway on installing 230 charge points in Nottinghamshire and Derbyshire. Nottingham’s Workplace Travel Service also has funding support available, including a grant of up to £25,000 to support sustainable transport initiatives, including the installation of workplace charging point infrastructure.